I love working with printable images and graphics in my art journals. I am by no means a fine artist at painting or drawing things realistically, but I love including images of objects and people in my journals. Today I thought I would share some sites where you can find free images you can use in your artwork. 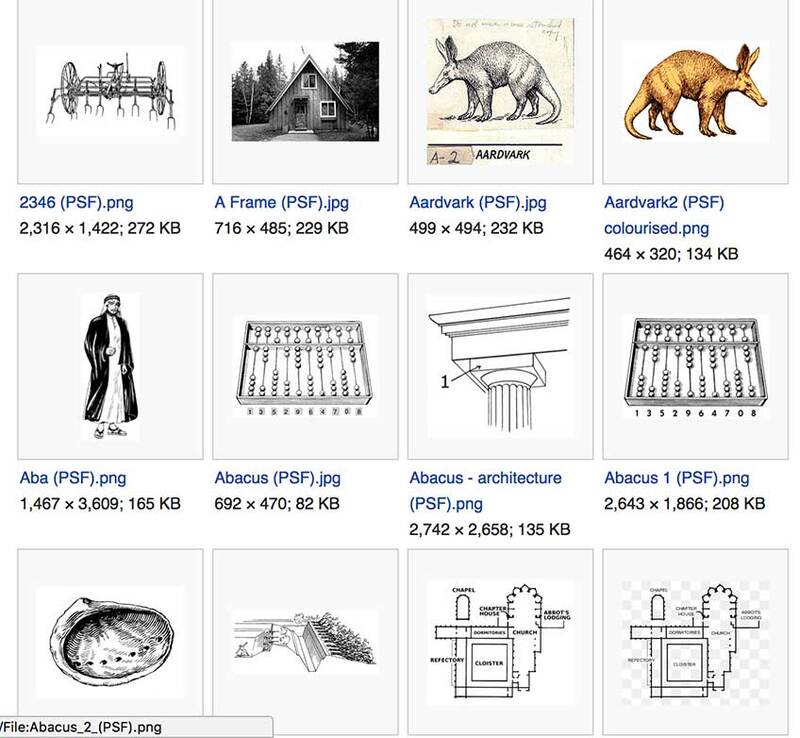 WikiMedia Commons: I love Wikimedia Commons and a lot of the graphics I print out to use in my journals comes from there! I especially love the Pearson Scott Foresman collection which is entirely in the public domain, which means you are free to use it however you like without worrying about copyright issues. OpenClipArt.org: This is another one of my go-to sites, especially when in a clip art type of mood, though they have plenty of other images as well. Best of all, everything is in the public domain and you can get items in vector format or png format in the print resolution you need. Dover Publications Free Samples: Dover is well known for their clip art and royalty free images they’ve been producing for years. If you’re not on their mailing list yet to receive free samples, you’ll want to be! I look forward to the email they send out every Friday. Poems, coloring pages, clip art…it’s all high quality and great for using in your art journal pages. VintagePrintable.com: This is another great site with a wide variety of images you can definitely use for personal use in your journals. Old Book Illustrations: They have a great selection of all types of images for printing and very nicely organized for finding what you’re looking for also! Reusable Art: Love this site! They have so many great images and they are very nicely organized and easy to find. PublicDomainPictures.net: While mostly photographs, there are a lot of illustrations as well, and all of the images here are in the public domain, which means you can use them however you like without worrying about copyright infringement. Any Sites You Love That I May Have Missed? 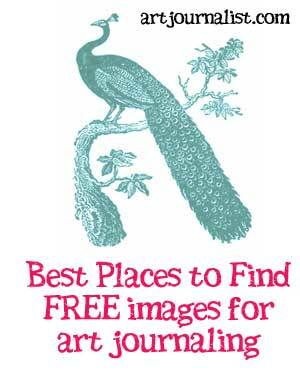 Do you have any other favorite sites you’d like to share where you can find downloadable images and graphics for your art journal projects? I’d love to hear about them in the comments section below! Great site and I want to thank you for all the great information.